JD BizOne is an Ultra-Responsive Joomla Template specially designed for Agency, Studio, Start-Up and multipurpose Business websites. It is a clean and finest template that is tailored only for you. 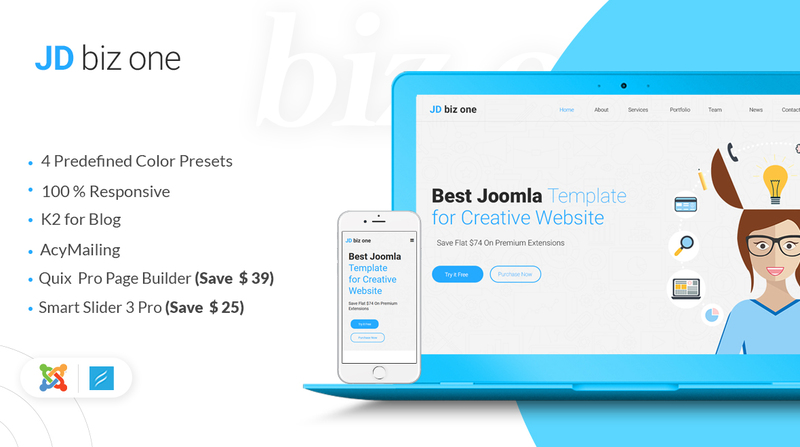 JD BizOne is built with drag and drop Quix Pro Page Builder (You are saving $39) which makes it easy to create pages just by drag and drop elements. If you want to showcase your business in a high definition responsive website, then this exclusive one page Joomla template is the best for you. In addition, this template is compatible with all kind of devices so your customers don’t need to zoom in or out to read the content on your website. 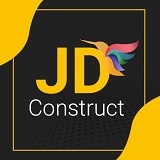 JD BizOne has got easy to fill-up contact form that might further interest your customer to keep in touch with you seamlessly! Furthermore, it also includes Smart Slider Pro (You are saving flat $25) which allows you to create a beautiful sliding element on the pages. Note: * You will only get a copy of the premium version for the 3rd party extension integrated with the quickstart package. You will NOT get a license key for any integrated 3rd party extensions.